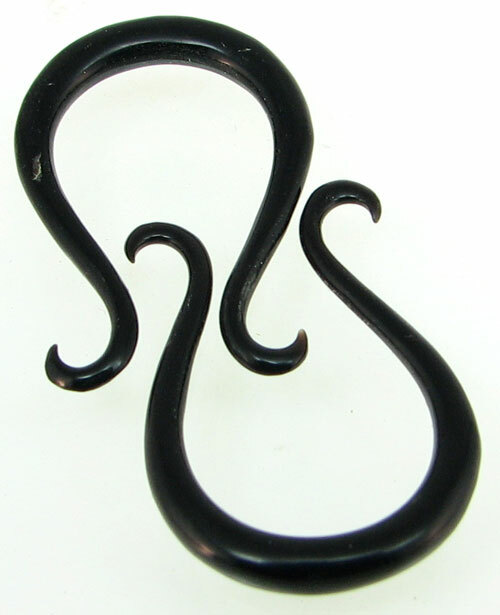 Large gauge horn omegas earrings are unique, light weight, comfortable and eye-catching. These water buffalo horn omegas for stretched ear piercings were hand carved from natural material, so some variation is present from piece to piece in a pair and also from the pair shown in this photo. 9 gauge 6 gauge 5 gauge 4 gauge 3 gauge 1 gauge (+$4.00) Select your Gauge Size and click "Add to Cart".